The Head Maiduguri Zonal Operations, Alhaji Aminu Ado Aliyu who made this known when he paid a courtesy visit to the Correspondents Chapel office of the NUJ, Maiduguri said "since my assumption in office in January, 2018, we have revived over 240 cases, where 20 have already been filled in the court of law with over N30 million recovered ." "Some of the major cases include the one involving staff of the Independent National Electro Commission (INEC), we secured the conviction of 6 people,. The agency will soon arraign may people in relations to cases with the INEC and Maiduguri Flour mills. ", Aliyu stated. He said he was in the correspondent chapel office to condole the state correspondents over the death of their members, Mr. Jonathan Gopep of Chanel's Television Damaturu, Yobe state and Mr. Dauda Mbaya of Nigerian Pilot Newspapers Maiduguri Borno State. He also appealed for the cooperation of the media in the fight against corruption while soliciting for partnership with media, he said the commission has taken its advocacy and sensitization campaigns to the schools, churches, mosques, clergymen, market places among others to sensitize the on corruption and the need stem it out of our society. 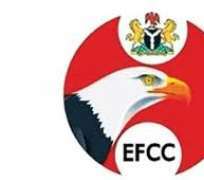 Responding, the chairman correspondents chapel, Alhaji Haruna Dauda Biu thanked the EFCC for the visit, saying that this was the first time EFCC officials visited the office. He assured the EFCC the total support of the media in the state in the fight against corruption, as both the media and the agency are for the betterment and development of nation.